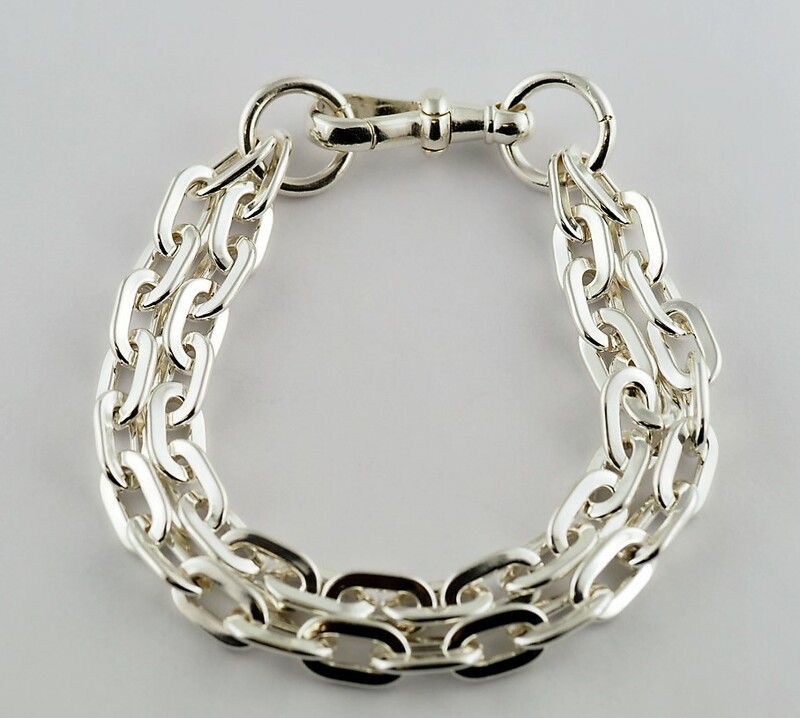 A Sterling Silver double row oval cable link bracelet. Measuring 9 inches including catch. The bracelet comes complete with heavy lobster claw catch.